One of the best ways to protect yourself and your family is to ensure that your home is properly secured regardless if you are there or not. Majority, if not all, of homes today come with some form of locking mechanism whose main purpose is to keep intruders out and keep valuables in. Locks are often placed on doors, windows and any other implement that would serve as the ingress or egress of the structure with the homeowner having at least one or two keys on them and a couple more that are strategically placed around the general perimeter in case they lose or forget their main keys. Most people who don’t want to take risks employ two or more door locks to better protect themselves and their property. Some even go to the extent of using multiple lock systems for even greater protection. With society progressing as it is, door lock technology have remained almost the same for the past decade with electronic locking systems being introduced just recently. Traditional locks are still the preferred system as they are more reliable, flexible and do not rely on electricity for their locking potential to be used. 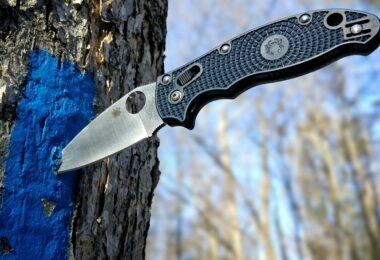 Do check out our piece on how to choose the best keychain multitool that can help you. Electronic door locking systems offer great value if you are in an area where electricity is constantly flowing and blackouts are unheard but a disadvantage for using them is its complexity, the additional power and very specific structural and electrical requirements which does not always fit into one’s budget and/or taste. Traditional locking systems are purely mechanical and rely on a combination of simple machines to work without the need for electricity and circuit boards. 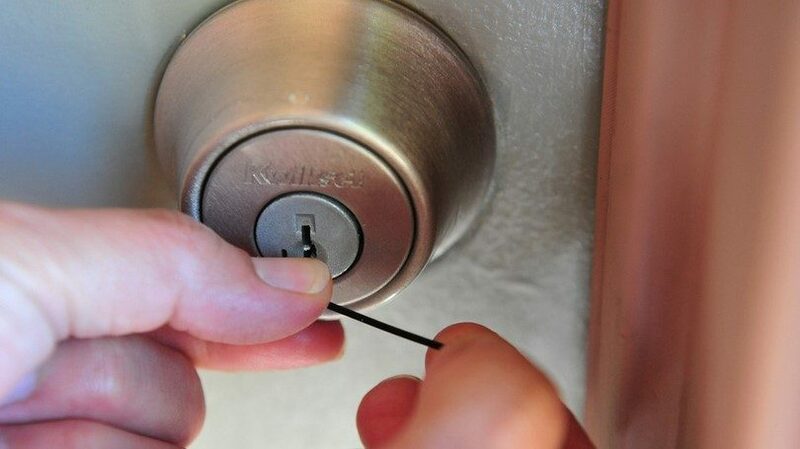 Traditional locks have few disadvantages which includes being easy to pick and owners consistently losing their keys. 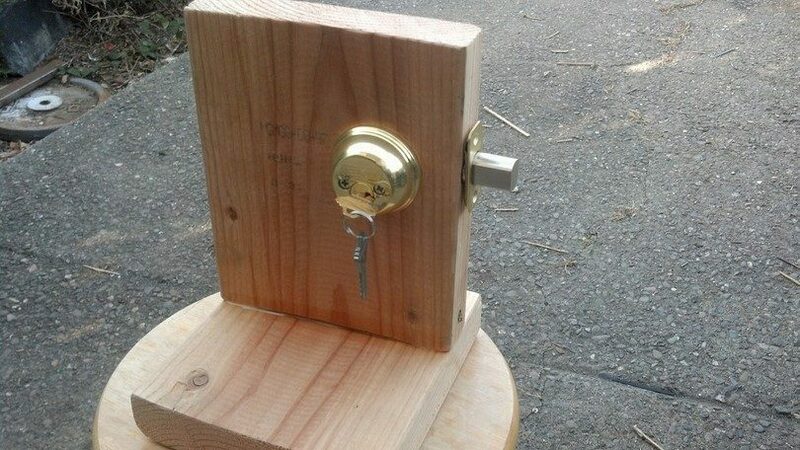 Several homeowners deploy multiple locking systems to compliment their traditional doors and they also order extra sets of keys just in case they lose their keys when they go out. Some enterprising owners, however, have taken the tasks of learning how to pick a locked door just in case something goes awry and they lose all their keys. Knowing how to pick a door lock not only provides you with a special set of keys for use on your own home but the skill can also come in handy in a few situations, especially if it’s a life and death situation and the only thing between you and safety is a door lock. 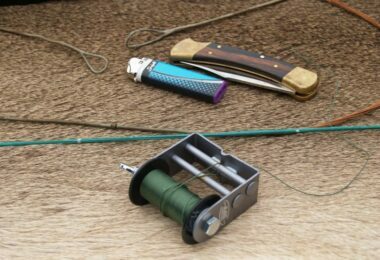 Some people have even taken lock picking as a hobby, always having an assortment of picking tools with them. Picking competitions have even become a sport with a growing number of enthusiasts and audiences. In order for you to start learning how to pick a locked door, you must first know and understand the mechanics behind it and then learn to differentiate between the different types of locking mechanism that is currently out in the market. Locking mechanisms are the internal mechanics of a lockset. There are several types of locking systems out there but the three listed here are the most common of them. Pin Tumbler lock – Probably the earliest known locking systems in the world, pin tumbler locks were first used in early Egyptian civilization using wooden components and keys. This was a major milestone in Egyptian architecture during this time period. 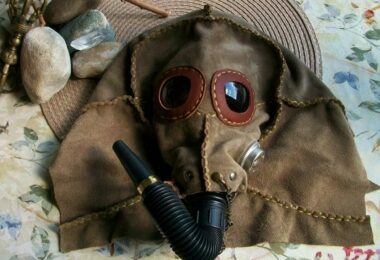 The technology eventually evolved into what we know today. Pin tumbler locks are commonly used in cylindrical systems where a cylindrical hole is drilled into the lock’s outer casing. The main entry point for keys is called the plug and it has a slot that is flat on either the top or the bottom while the opposite side has the lever that activates the locking bolt. The key slot would have ledges that prevent the key pins from falling to the straight edge. 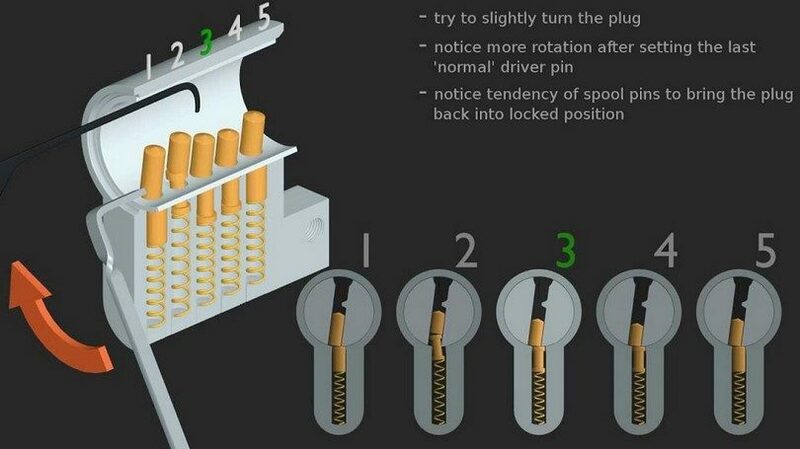 Key pins are slotted into holes that are drilled vertically along the key hole that also contains the driver pins. These pins are spring loaded which means they are in charge of making sure that the key pins will respond accordingly to the key itself. Once everything has been assembled, the key is inserted and the key pins align themselves to the curves of the key and the driver pins will help the key pins maintain their alignment so they would go easily along the ledge of the key hole. Wafer Tumbler lock – The Wafer Tumbler works using the same principles as the pin tumbler lock with one difference. 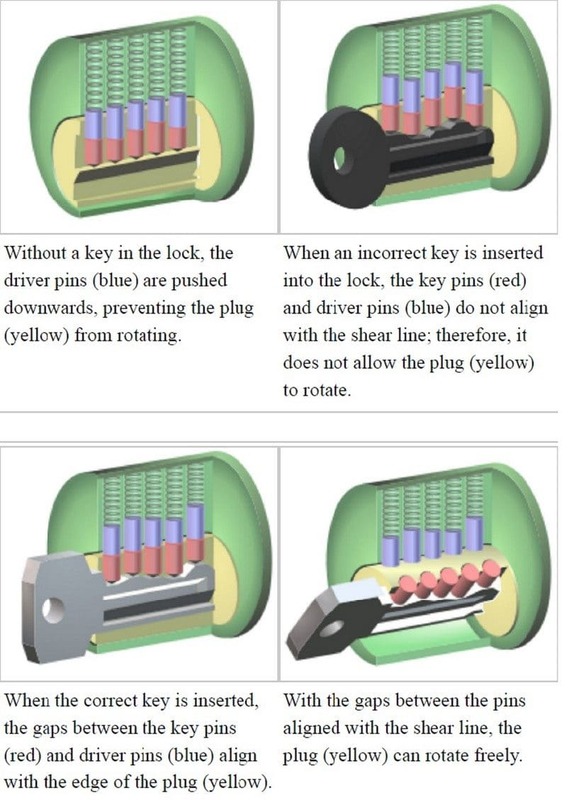 The key pins used in the pin tumbler lock act as one unit whereas the key pins or wafers, of the wafer tumbler system acts as a single unit per key pin, making it a bit harder to pick than the pin tumbler. Some manufacturers have devised crushable wafers that allow for easier replacement during maintenance. Lever Tumbler lock – The Lever Tumbler Lock utilizes levers that prevent the retracting bolt from moving in the lock while engaged. 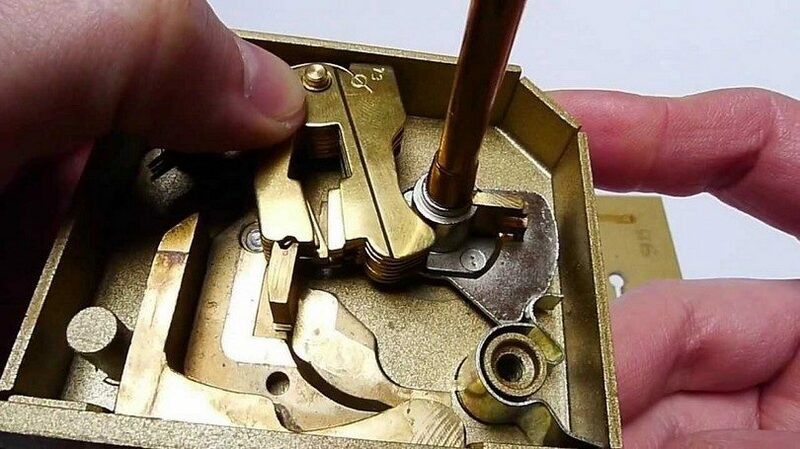 The mechanics is quite simple as the key is inserted into the keyhole, the levers are slightly raised to allow the springs to engage the bolts and disengaging the key will allow the levers to rest on a different notch that cannot be moved unless the key is inserted again. Different locking mechanisms mean that there are several ways to combine them to form one single type of locksets. Privacy lockset – These locksets are placed on interior doors and serve as protection against accidental entry in areas like the bedroom and the bathroom. Most privacy locksets available in the market utilize the pin tumbler lock. Entry lockset – These are the locks placed on external doors and are made of heavy duty material so that they would be able to withstand the elements as well as other forces. Entry locksets can use either the pin tumbler or the wafer tumbler system. Deadbolt lock – Deadbolt locks are called as such because they do not move at all once the retractable bolt has been engaged in its hole in the frame. They often use the lever tumbler system and are mostly used for exterior doors. Mortise lock – This lockset consists of a long, rectangular box that is placed inside the door frame and usually has two or more locking systems that act as one single unit. Most mortise locksets have a deadbolt and an entry lockset that can be locked on both sides. These are often used in places where extra security is needed and mostly for exterior doors. Night latch – Night latches are installed on the door’s interior and often lock automatically and can only be opened using the key. This lockset is always used with another type door lock and can also be found in a mortise lock system. Electronic entry system – The newest addition to the door lock family, electronic entry systems provide keyless access to any area as long as you would have the access card with the proper access code. Electronic systems are popular in offices as they can also serve as the time in and time out monitoring system for employees. There are other types of door locks and locking systems out there but most of them are hybrid and majority use the tumbler systems as it is easier to make and maintain. There are several ways to pick a lock using a variety of tools and listed below are some of the most common ways on how to do it. If you would want to practice, better purchase a new lockset or get a spare one so you would not compromise those that are already installed in your home. Disclaimer: the aim of this article is to educate you on how to pick locks in case of emergencies and for fun and any criminal activity resulting from any skill learned from this article is not the author’s intent. This is a specialized set of tools that professional locksmiths, and thieves, use to pick on lock doors. There are different sets of tools per pick set and it depends on the user which tool they would prefer to be included in their arsenal. Torsion wrench – this is used to apply force or torque to the key plug in hold any key pin in place. Half-diamond pick – picks are used to manipulate the individual key pins while the torsion wrench keeps them in place. Ball pick – this pick is used for wafer tumblers. Key bumps – these are your skeleton keys of the modern age. They are keys that have the same size and fit as the lockset but the jagged edges are cut at the same height. To use a lock pick set, place the shorter part of the torsion wrench inside the key plug and determine which should you apply the force to turn the lock cylinder. Apply light pressure on the wrench going to the right direction and hold when you feel an obstacle. While holding it in position, insert a pick into the upper part of the key hole and feel for the individual key pins. If you feel that the pins are easy to manipulate, hold the wrench tighter and then feel the pins again. Once you get to feel a stubborn pin, try to put enough pressure on it until you hear a click. Once you hear a click, it usually means that the driver pins have settled into their respective vertical holes. Repeat the process until all the driver pins are put into place. Once all driver pins are pushed back out of the key cylinder, turn the lock using the torque wrench to unlock it. See our reviews of the best lock pick sets for more information. 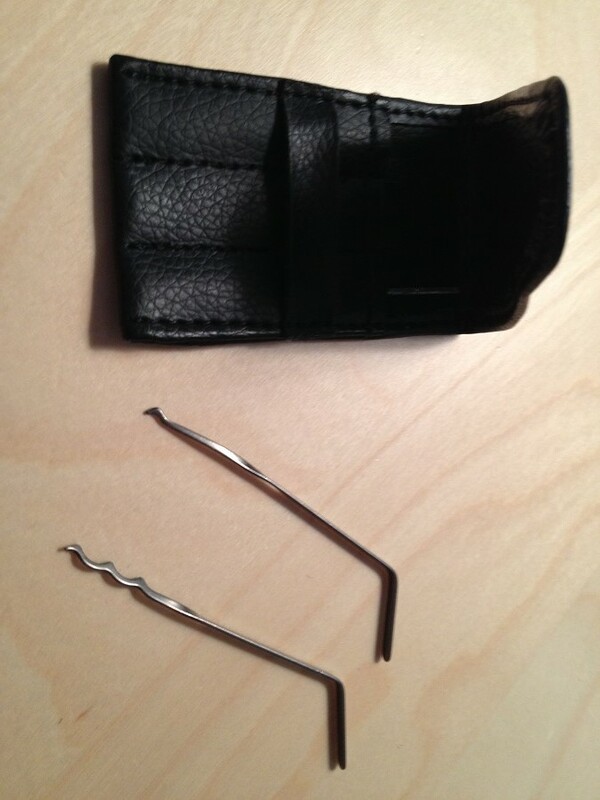 Common items found inside your home can also be used in place of the lock pick set. 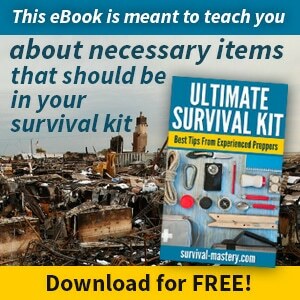 This would include scissors, paper clips, safety pins and screwdrivers. As long as the items you would be using are small enough to fit into the keyhole and strong enough not break when pressure is applied then they should be able to open any tumbler lock. When using paper clips, carefully straighten them out so one can act as the torsion wrench while the other acts as a pick. For scissors, you can use them if the gap between the door and the frame is wide enough to accommodate its thickness. Insert one blade of the scissor into the gap close to the bolt and slowly swipe it downwards, once you reach the bolt, try to push it back towards the door and open it once it gets clear from the frame. 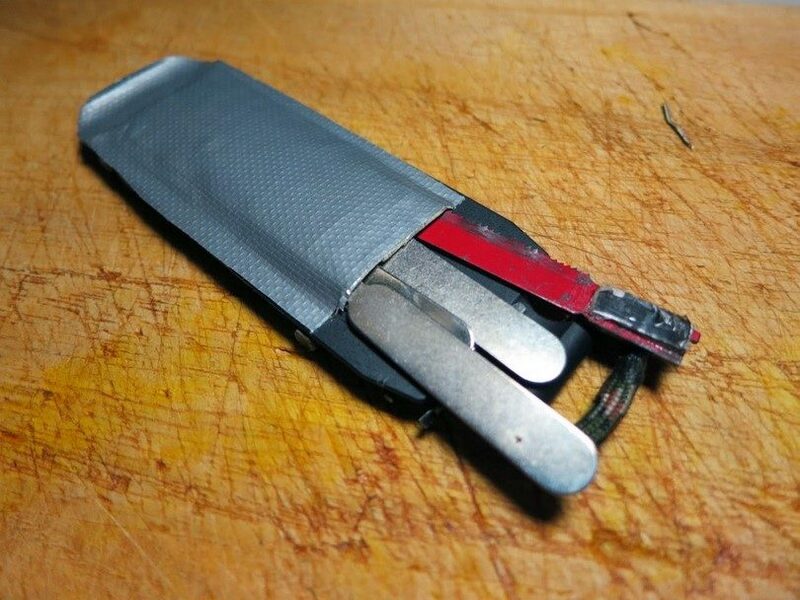 You can use the same process for knives and screwdrivers. If you have a small enough set of screwdrivers, you can use them in place of the torsion wrench and pick. Make sure to use flat head screwdrivers for this task as Philip screwdrivers will have a larger girth. You may have to do some trial and error with these items but once you get the hang of it everything should be easy breezy. Key bumps – If you happen to have a spare key that has lost almost all of its jagged edges then you can use it as key bump. You can pair it with an ice pick or a really small screwdriver that would act as pick while the key bump serves as the torsion wrench. Credit cards – Credit cards should never be used to pick a locked door through its key holes as it would destroy the card itself. Credit cards, however, can be used to pick a door that has a wide enough gap between the door and the frame. 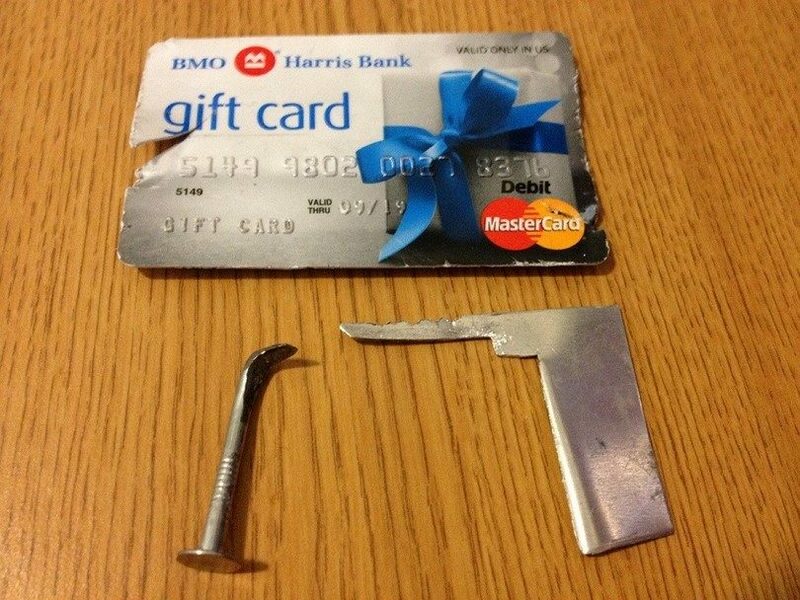 The gap should be wider than the thickness of the credit card for this to work. Also, if you value your credit card then you might want to use another card of little value like rewards cards, debit cards, a thick business card or even a library card, as long as it is strong enough to withstand the pressure it would undergo. Using your card, place it through the gap from the top of the door lock and swipe it downwards. Once you feel the retractable bolt move, gently move the card to cover the bolts entirety and turn the handles as you normally would. If this method does not work, it means that the bolt is oriented in a way that it can’t be moved. Please note that this method opens the door but it does not unlock the lock, so may want to unlock it while you have it open. Rubber band – Rubber bands can also be used the same way as the credit cards. As long as the gap is wide enough then you should be able to use rubber bands to open a locked door. Make sure that the rubber band is long and rigid enough for this task; heavy duty rubber bands will do the trick. Once you have your rubber band ready, use a paper clip to insert one end of the rubber into the door frame and gently manipulate so it would come out on your side of the door again with the retractable bolt in between both ends. When you have this ready, pull both ends of the rubber band until you hear the click. Make sure to pull the door open as soon as you hear it so it would open, otherwise the bolt would just go back into its repository. 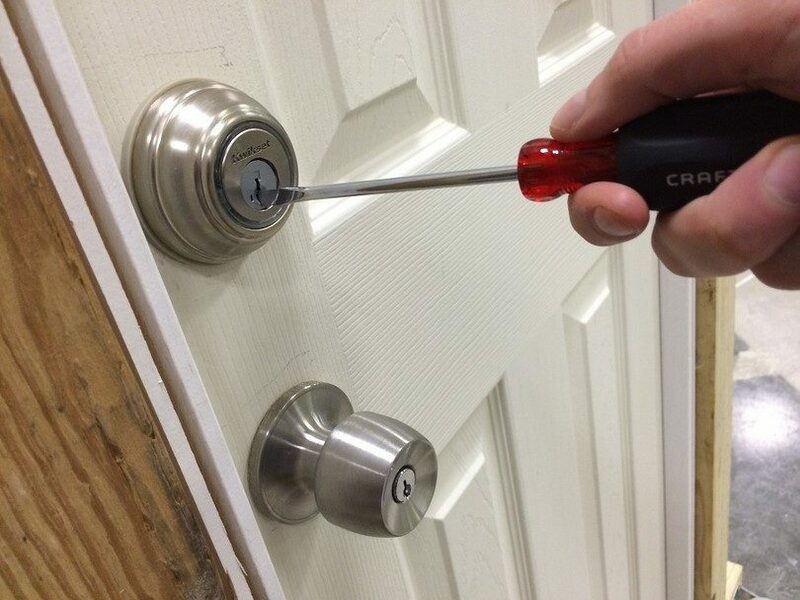 In these modern times, those that come with malice take all forms and in order for you to improve the security of your home, it is now a protocol to install at least two tumble pin lock systems and another variant that help beef up your protection, letting you sleep at night knowing that even those trained on how to pick a locked would not be able to get in.